Installing and Caring for your Masonite door is easy. Watch an installation video, use the installation guides, or read care guidelines. Staining your entry door completes its natural wood-grain appearance. This simple process is a project any home owner can complete with confidence. 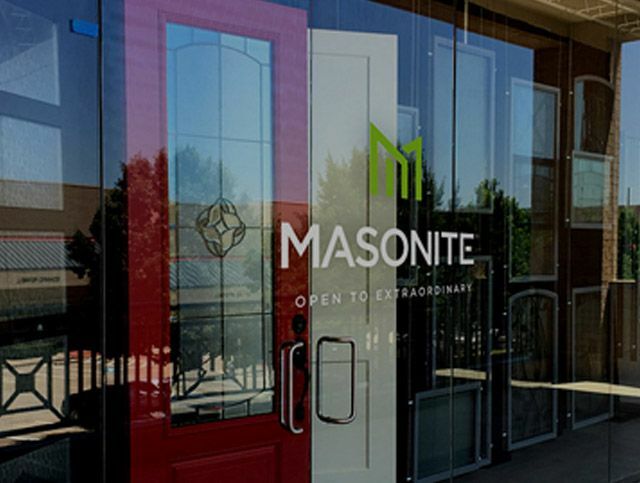 To help, Masonite has created a complete finishing system that allows you to easily stain your entry door. Download our step-by-step staining instructions to get started. In no time at all, you can create a lasting, beautiful finish on your new front door. Painting your entry door is a simple process that can be easily completed in accordance with these instructions. Follow our step-by-step painting instructions to get started. In no time at all, you can create a new and trend-on appearance to the front of your home. Masonite’s step-by-step instructions make this project painless. We’ve included a list of tools and materials, so you’ll only need to make one trip to the store. When complete, your door will become the focus of your room. Preparation is the key to making painting easy! Before starting your project, it is important to identify which type of frame you will be painting and prepare the surface appropriately. You can get a flawless finish on your glass frame by downloading our step-by-step instructions and following a few simple steps. By following these instructions, finishing your wood door is a simple process that any home owner can complete with confidence. Download the step-by-step instructions to get started and in no time at all, you can finish, stain, or paint your interior or exterior wood door. Handling and painting your Bolection door is a simple process that can be easily completed by following these instructions. Follow our step-by-step instructions to achieve the interior door look you desire.